The first powered portable loudspeaker that lets you control its vertical coverage pattern. So whether you’re playing at floor level, on a stage or facing raked seats or bleachers, you can adapt your PA to the room. How it works The eight drivers on the F1 Model 812 Flexible Array loudspeaker are mounted on a specially designed flexible baffle. Simply push or pull the array into position to create four vertical coverage patterns: “Straight,” ”J,” “Reverse J,” or “C.” Once set, the system automatically changes the EQ to maintain optimum tonal balance for each unique coverage pattern. Bose® Professional has drawn near-universal acclaim from end users and venue owners for its iconic L1® portable array systems, and we are now expanding our portable P.A. 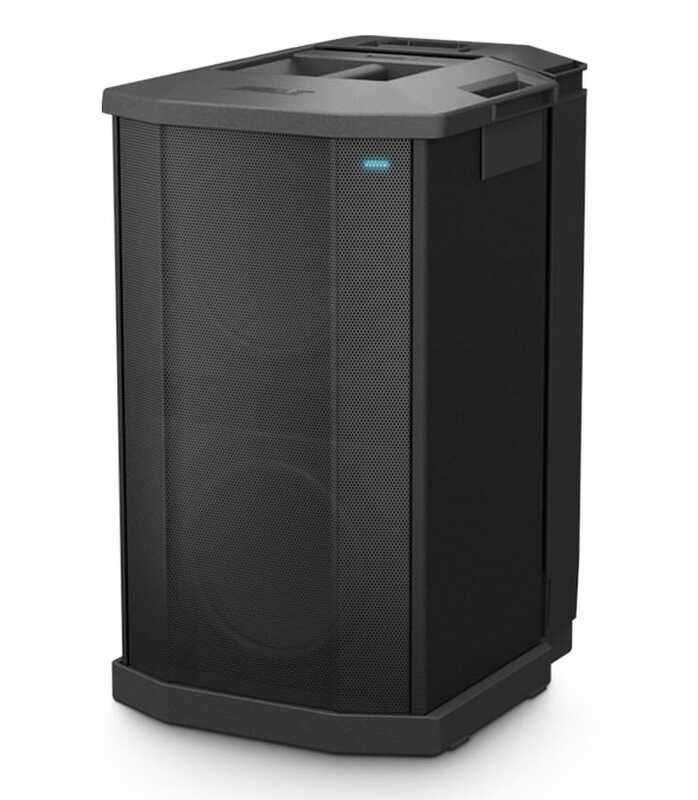 offerings with the introduction of the F1 Model 812 Flexible Array Loudspeaker and F1 Subwoofer. Designed to serve an even broader set of applications than L1 systems, F1 Model 812 is the first powered portable loudspeaker that lets users optimise sound by creating up to four different vertical coverage patterns. Offering exceptional power and clarity, the F1 system provides versatility for a wide range of applications and venues, easy setup, aesthetically pleasing design, and rugged durability. Designed for live music, DJ and general PA applications, the F1 System is ideal for Full Band Schools Foreground Business Music Systems Corporate AV Houses of Worship Mobile DJ’s Rental Raked Seating in Auditoriums Features High performance compact subwoofer: All the performance of a larger bass box in a more compact design that’s lighter and easier to carry than conventional subwoofers High-excursion 10-inch drivers: 2 woofers provide deep impactful bass Integrated mounting stand: Built-in stand is stored in the rear of the subwoofer making set up fast and easy—includes cable channels to neatly hide wires Line output EQ. F1 Subwoofer Powered 230v Uk from Boseportable is 100% original and brand new. We, at Melody House take pride in our after sales service and support. For further details on the f1 subwoofer powered 230v uk, Boseportable, simply write to us to consult an expert or order online and we will take care of the rest. Happy Shopping!